After 12 months in development and a very large investment, UAP TradeLocks has launched the first of six TradeLocks' Mortice Lock Impressioning Sets. The first to be released is the Legge Black British Standard Set. SBD has just published its Global Smart Key Database saying it is the ultimate reference guide available in the market today. Data includes over 1,000 vehicle models from 3 regions (US, Europe, China). Home invasions and break-ins are the stuff of nightmares, but the hard truth of the matter is that these crimes are dark facts of life for some unfortunate families and business owners. To offer protection against these violations, an inventor from Murray, Utah, created a prototype for The Power Locks. Y3K, the UK's leading manufacturer and distributor of HD CCTV systems, is to strengthen its range of high-resolution cameras by offering HD 960H cameras and DVR kits at prices that will make this new technology affordable to everyone for the first time. For the third consecutive year, mobile locksmith Teds Locksmiths has won the Super Service Award in Charlotte, North Carolina for excellence in customer service. The Super Service Award is provided to businesses in recognition that "honors excellence among service and health providers who maintain a superior service ratings and reviews." A scrap collector and a locksmith got the surprise of their lives after discovering an old family safe filled with hundreds of gold and silver coins. The anonymous Houston collector took the safe to locksmith David Molick and asked him to break into the vault before it was turned into scrap. Mr Molick then spent 20 hours breaking into the safe, drilling through six-inch concrete walls, before uncovering the secret stash of money. A burglar in Belgium had a locksmith open the door to a house. The 21-year-old criminal called the gullible craftsman and paid him with some of the 1500 euros stolen from the home, it was reported. The prosecutor in Leuven demands six months in jail for theft, and another three months for possession of heroin. The burglar also risks a fine of 6,000 euros. 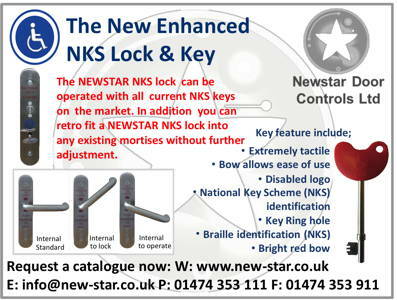 The annual Locksmiths' Exhibition, which takes place 8th - 9th March 2014 in Nottingham, has just nine stands remaining and could well be totally sold out by Christmas, according to show organiser Mick Friend. He says: "The Locksmiths' Exhibition is now firmly established as the premier dedicated trade only exhibition for everyone in the locksmith and allied trades. Now in its sixth year it has become very popular with exhibitors and visitors alike." 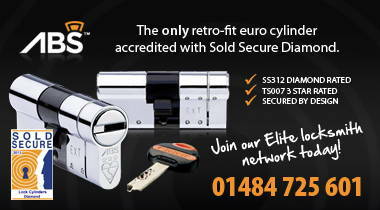 The An-San range of duplication key machines are now available exclusively from Hickleys at great prices. The machines are engineered to an exceptional standard and offer great features whilst delivering excellent accuracy, robust design and importantly very competitive prices. UAP TradeLocks, leading supplier of specialised Locksmith tools, will be spreading yuletide cheer with Roses this Christmas. TradeLocks will be giving customers a tin of the very festive Cadbury's chocolates with every order over £250 + VAT. The company has gained a reputation over the years for treating its customers during the holidays and it has now become a tradition to expect a sweet treat with an order during a seasonal period. DVS, one of the UK's fastest growing distributors of security and CCTV equipment, has signed a distribution agreement with Videotec, the leading manufacturer of professional CCTV products for outdoor applications. DVS managing director Shaun Bowie said the Italian company's products were an ideal addition to DVS's portfolio of CCTV equipment. New AdvanceGuard surveillance solution detects perimeter breach and follows intruders, making it easier, and faster, to direct the intercept security patrols. Valencia Airport in Spain has become one of the latest European Airport to conform with new EU Regulations (EC 300/2008) stipulating that measures for perimeter intrusion must be in place by 2015. AMG Systems, the British manufacturer of sophisticated Megapixel cameras and CCTV transmission technology, and Systems Integrator Ibam Systems have completed a vastly enhanced security system within Sharjah's 250-store Sahara Mall in Dubai, UAE. Thieves fronting as locksmiths are using fake stickers to flag up London properties that could be easy to burgle. The conmen are pretending to distribute marketing material as they check the robustness of security on doors and windows. Those homes that are believed to be easy targets are then marked with a tiny transparent sticker that advertises a "24-hour locksmith", the Evening Standard reports. An access control solution from Access Control Technology (ACT) is being used on the main crossing points between England and South Wales. The two bridge crossings are the (suspension) Severn Bridge and the (cable-stayed) Second Severn Crossing which span the estuary between South Gloucestershire and Monmouthshire. Electronic equipment to override vehicle security systems have been available for several years, but their capability and availability has rapidly increased in the past 12 to 18 months. SBD's Electronic Theft Threats Database details a range of tools and devices available. These tools have had the most impact on vehicle theft or have been reported to have been used to steal vehicles. The Information Commissioner has signed a Memorandum of Understanding with the Surveillance Camera Commissioner, Andrew Rennison, on 23 October. The agreement commits both organisations to working with each other to regulate the use of CCTV and other forms of surveillance cameras in England and Wales. The pledge will help to avoid duplication of effort by establishing clear working relationships between both Commissioners. Vehicle manufacturers adopted transponder technology two decades ago to successfully tackle rising levels of theft with electronic immobiliser systems. Since that time, however, advanced code-breaking techniques and more powerful computers have meant many early, but still widely-used, transponders are no longer secure. 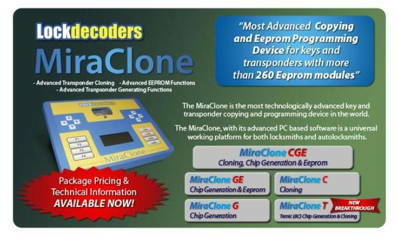 Read an explanation of how cloning tools have been developed; a unique analysis of the risks of transponders being cloned; guidance for OEMs on what can be done to secure their future systems. Experts from Diebold showcased the company's high-performance security solutions at the ATM Security 2013 Conference on Oct. 22-23 in London. During the conference Diebold addressd the following automated teller machine (ATM) security threats: card and currency fraud, logical attacks and physical attacks.